Divido opened its doors in 2005, offering Perth diners a casual Italian eating and drinking experience within a stylish and intimate venue. Divido’s menu represents a love of good, honest food, made with passion and skill. It draws influences from Italian regional peasant style cooking, including old family recipes. 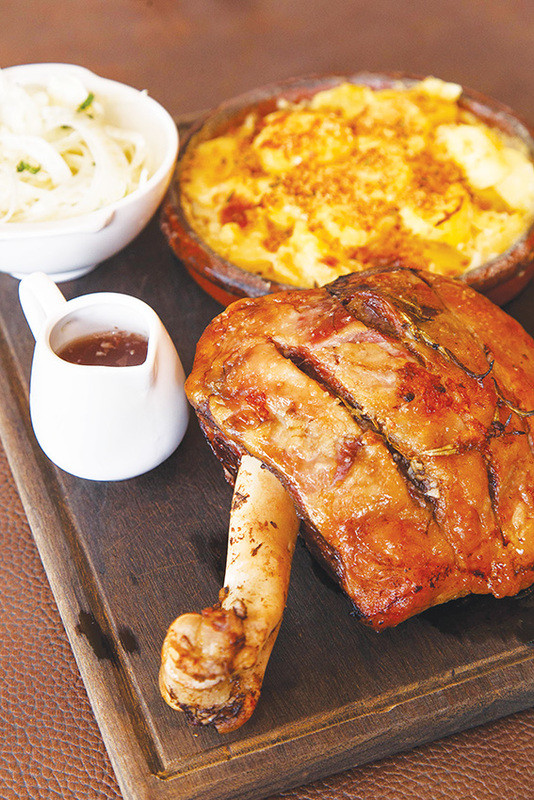 It’s comfort food – wholesome, rustic and full of flavour. Seasonal and local produce features heavily – the focus is on letting the true flavours of the food shine. The compact menu has been carefully crafted. Mains are based around meat, game and fish. You won’t find any pizza at Divido. Diners often start with the superb bruschetta, while perusing the rest of the menu. If you’re more of a purist, the handmade sourdough bread with olive oil and balsamic is excellent. Entrees such as grilled octopus with kipfler potatoes, salami with lemon aioli and pickled vegetables and the proscuitto di parma, aged for 16 months and served with buffalo mozzarella and local asparagus are crowd pleasers. Aficionados of game have to try the grilled quail with pear, walnut and radicchio salad. 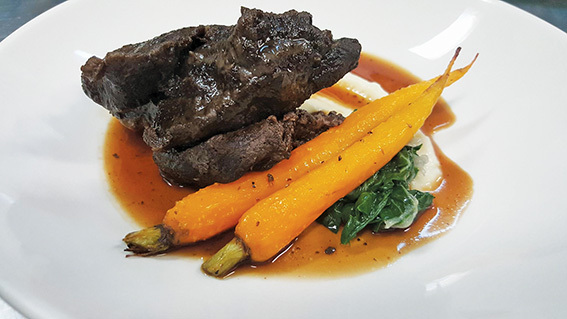 Other standouts include the braised beef cheek with silverbeet, baby carrots, cauliflower puree & beef jus and the wood roasted lamb shoulder for two, with a shaved fennel salad and potato parmigiana. Waitstaff will inform you about the pasta special, which changes daily. 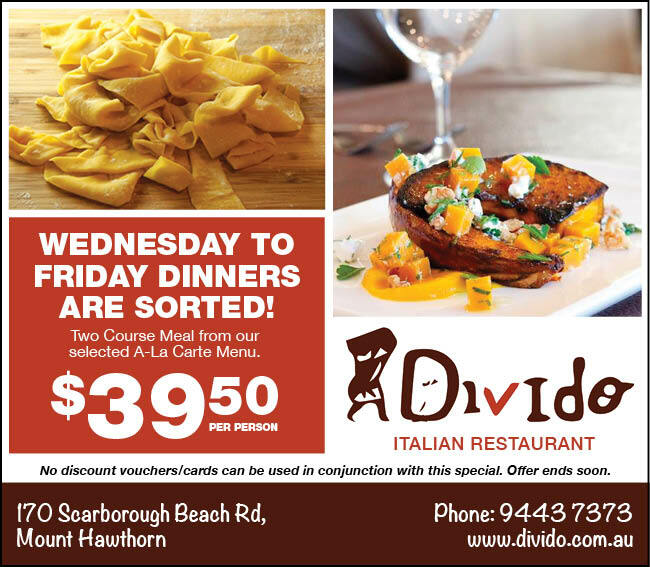 Divido has some fantastic specials, including a nightly degustation dinner ($79 food only, $139 with matching wines). On Mondays and Tuesdays, enjoy a 3 course meal with complimentary glass of champagne or wine. And don’t miss the 2 course special, from Wed to Fri for only $39.50 per person (limited time only). For the full Divido menu and regular specials, please visit the website.